An unreleased demo of David Bowie’s 1983 smash hit, “Let’s Dance”, has been issued on January 8 as a digital-only single to mark what would have been the late music icon’s 71st birthday. 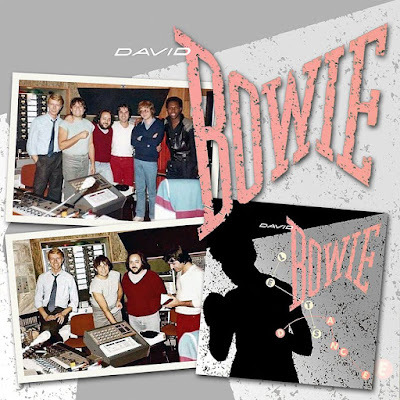 Recorded in December of 1982 with producer and guitarist Nile Rodgers at Mountain Studios in Montreux, Switzerland, the funky, stripped back version of the song went on to become the template for Bowie’s 15th studio record. With Rodgers on guitar, the pair put together a lineup of local musicians for the session so quickly that they failed to note all of the players in the room. “If you played 2nd guitar or drums, let us know who you are!,” adds Rodgers. The guitarist was joined by Russell Graham in his Connecticut studio recently to put the demo together for this special release. “The time we spent mixing it just before Christmas was full of tears as it felt like David was in the room with us,” Rodgers recalls. “Happy Birthday David, I love you and we all miss you!" Within four months, “Lets Dance” would be one of the biggest and most influential hits of the decade, going on to top the charts in a dozen countries while the project delivered the rocker the best-selling album of his career.